It’s no secret that I work out regularly. At times I work out like crazy especially when I have to look good and wear my two-piece swimsuit. Nah! But apart from superficial reasons, more than anything, I work out to stay fit and healthy. During my younger years, I was part of the Dance Club for quite sometime and dancing was a way of life. I have also been a part of the cheering squad from high school to college. I also used to do ballroom dancing every weekend just because I love to dance. I’d rather move than become a couch potato. So, burning all those extra calories was never a problem. But, I also have to thank my parents for my good genes. Naks! Both my parents are still fit even to this day that they are way past their prime. So yeah! You can say that I’m also lucky! But, eventually, you reach a certain age wherein your metabolism is not as fast as it used to be. Seeing unwanted flabs here and there becomes inevitable and suddenly you realize that it is slowly becoming a problem! Because of this fear dilemma of gaining weight which I am not quite used to, I scoured around for different kinds of fat burners that will help me shed off extra weight or at least manage it. I even asked a couple of friends for suggestions. Through my research, I learned about a fat burning drink called, MySlim Yerba Mate Drink. It seemed promising enough to convince me to try it out. Here’s my stash that’ll last me the next couple of weeks! The first bottle of MySlim Yerba Mate Drink that I took was at 8:30PM. Exactly 3 hours after my last meal (I had an early dinner). I wanted to make sure that the last meal I took had been digested already. At about 10:30PM, I suddenly noticed a good amount of grumbling in my stomach. I was kinda weirded out since it was just roughly 2 hours since I took a bottle of MySlim Yerba Mate Drink. I shrugged it off and decided to sleep it off. But, the moment I got up, my tummy went on overdrive compelling me to head straight to the toilet. Boy! I never felt so relieved! I pleasantly learned that not only does MySlim Yerba Mate Drink detoxify my body, it also aids regular “movement”. 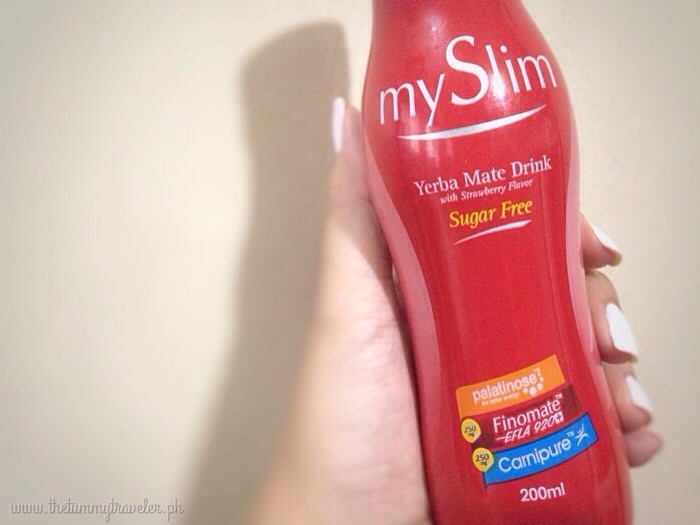 What I also like about MySlim Yerba Mate Drink is that it comes in Strawberry flavor, making it taste just like regular juice. This fat burning drink is sugar-free, using Palatinose as its sweetener. Palatinose is naturally derived from sucrose that functions by controlling the release of glucose into the blood as well. This gives you stable energy levels for longer periods of time. This explains why even if you “go”, you don’t feel weak at all. There were no adverse side effects as well (which I was afraid of at first). It is advisable to take MySlim Yerba Mate Drink every other day before bedtime and expect about 2-3 tolerable trips to the bathroom (frequency of trips slightly differ from person to person). Just to be safe, make sure you don’t have anything planned during the first half the next day after taking a bottle of MySlim Yerba Mate Drink. Based on experience, I’d say it is recommended to drink a bottle of MySlim Yerba Mate Drink every other day (or a maximum of 3 bottles per week) preferably before sleeping or 3 hours after dinner. Chill your bottle as it is really good to drink when it’s super cold! MySlim Yerba Mate Drink can also be bought in sachets at Php 68.00 each. This is perfect when you are on-the-go like me. I will probably buy several sachets as I will be leaving again a few weeks from now. This will most certainly come in handy. Wondering what MySlim Yerba Mate Drink contains that makes it so effective in burning fat, detoxifying and boosting energy? This converts fat to usable energy just like L-Carnitine. Yerba mate or green mate leaf extract increases energy and facilitates weight loss. It also suppresses appetite, reduces resorption of fat and increases fat burn. Another all natural ingredient. I mentioned earlier that MySlim Yerba Mate Drink is sugar-free and uses Palatinose as its sweetener which is naturally derived from sucrose. It controls the release of glucose into the blood to stabilize energy levels. Another supplement that I take alongside MySlim Yerba Mate Drink is MySlim Natural Fat Burner Complex Capsules. It also contains Yerba Mate Finomate, L-Carnitine, Green Tea Extract plus Garcinia Cambogia that burns fat rapidly. It is recommended to take one capsule two times a day after meal. That’s one after breakfast and one after dinner. 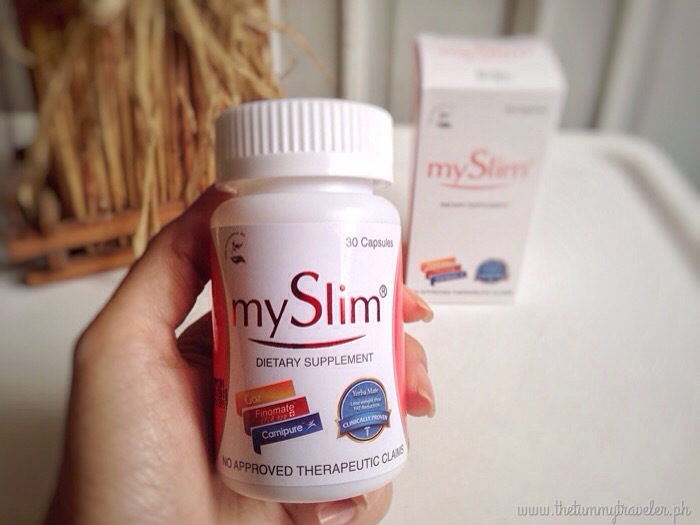 One bottle of MySlim Natural Fat Burner Complex Capsules contains 30 capsules and is priced at Php 540.00. As someone who is into regular exercise and fitness, I still make it a point to visit Gold’s Gym regularly. I would advise that you do the same. Make exercise a part of your daily lifestyle to improve your overall fitness. 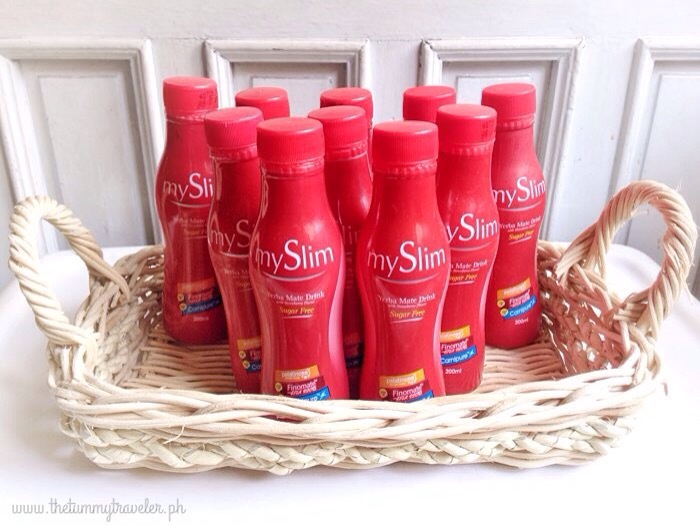 Of course, with the help of these MySlim products, fat burning and balancing your sugar levels just got a whole lot easier! It’s the perfect complement to an active lifestyle. hi, is it ok to take myslim capsule and drink when you are smoking cigarettes? please let me know cause i already bought it. i was taking myslim for a week now and i gained weight instead of losing pounds??? Hi po. 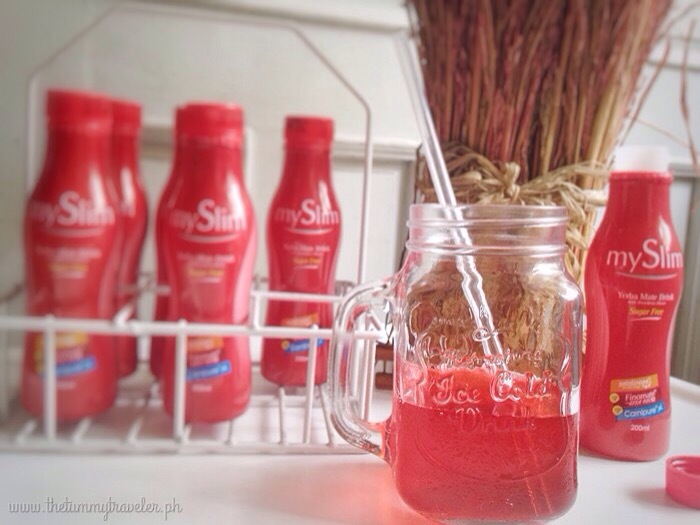 ask ko lang about sa MySlim drink. Since the capsule is twice a day.. 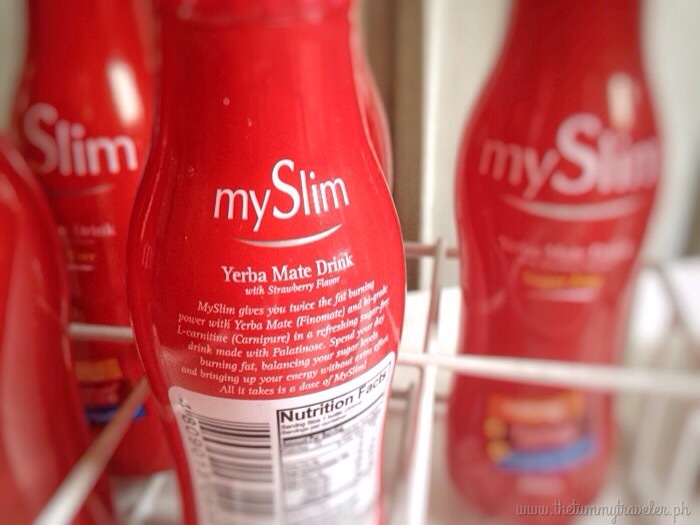 I just want to ask if its ok to drink everyday the MySlim Yerba Mate drink ? It wont effect anything ba? kahit isang buong dalawang linggo na everyday. Since im staying at home lang. No plan to go out. Plus i just love pooing u know.. Is that safe? 1 bottle everyday its ok for me to drink? I will do everyday drink just for two weeks. then after that ill go back to regular taking it 3 times a week na lng. plus im also drinking pineapple once a day. As advised, drink 1-2 bottles per week or a maximum of 3 bottles per week only. 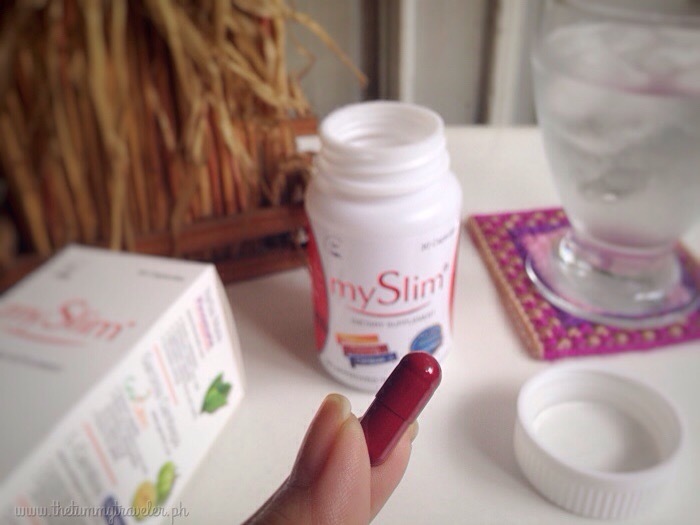 Hi.. Ano po ang mas advisable sa pag take ng myslim capsule? before meal or after a meal? dba po usually kapag diet pills is before meal? Ano po rationale kapag after a meal? tnx..
Lysol To Go – The perfect sidekick for moms on the go!